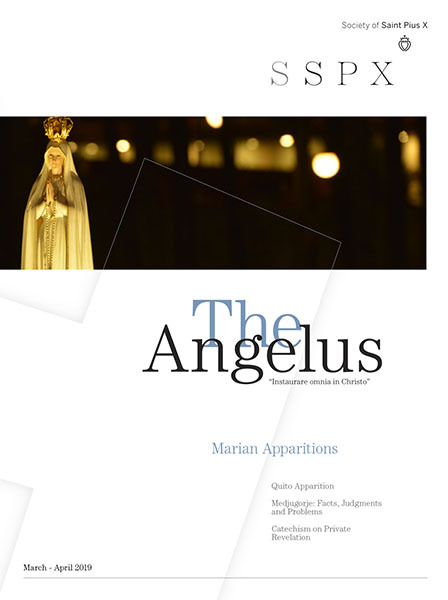 The Angelus Press 2010 conference was a tremendous success! With nearly 700 people gathering in America's heartland to celebrate the 40th anniversary of the Society of St. Pius X, the three days of talks and socializing became the most-talked about event of the year. Now, in 2011, we are pleased to announce this year's upcoming conference on The Kingship of Christ. With a powerful cast of new speakers and a fresh array of subject material, the conference is scheduled for the weekend of October 7-9. His Excellency Bishop Tissier de Mallerais will be our guest speaker. The conferences will take place once again at the beautiful Hilton Hotel near the Kansas City airport. We are certain that this year's conference on The Kingship of Christ will be a unique and valuable experience for all Catholics, young and old. Angelus Press hopes you can join us again this year. We look forward to seeing you. 2) Catholic Action: Whose Job is It?